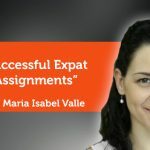 To gain a better grasp of the topic at hand, one will need to understand the concept of an expatriate, what does it mean to be an expatriate (expat), who are expats? And what are the challenges that face this group. 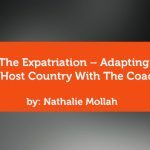 This paper will look at all of this and also ways that a coach can help support the expat and his/her spouse and family. An expat, according to Wikipedia is a person who lives in a country or culture that is different from that of his/her own upbringing. 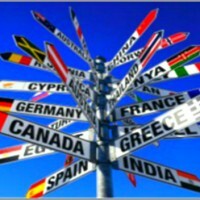 To put it simply, an expat is a person who lives in a country different than his/her own country of citizenship. Expats mostly are professionals who are sent by their own companies at home to regional offices abroad, or otherwise internationally hired rather than locally hired. follows his/her life partner to another city/country due to a work assignment (Wikipedia www.wikipedia.org). The term Trailing Spouse was first used by Mary Barlove of the Wall Street Journal in 1981 (www.expatinfodesk.com). Barlove used this term to identify an expatriate’s spouse who relocate due to his/her partner’s job or career opportunity. The life style of an expatriate, as glamorous as it may sound to many people, is in fact filled with many obstacles; especially for the expatriate’s family and spouse. To the expatriate, who has been moved to a new city due to his new job, life is immediately filled by the new work’s responsibility and basically diving into work. However, the spouse is left in many cases to fend for her/him self in a new environment, a new country and in most cases a new language. The spouse now needs to establish a new support system, locate important offices such as doctor and dentist, locate a school for the children, find parks and places of amusement for the family, and establish new friendships. Those are some of the basic things but of course the list goes on and on depending on the person and the family needs. In the case of a working spouse, she/he in most cases would have to suspend his/her career due to moving to a new location. This is caused by the added strains on the family due to moving, new surroundings and environment. Also sometimes due to the expatriate’s work nature, which could require longer working hours, frequent trips, the ‘trailing spouse’ could feel like a single parent having to shoulder all the burdens and family responsibilities on his/her own. All of this can pose as tremendous stressors to the relationship, even if this relationship was a relatively successful one prior to the move. The trailing spouse upon arriving at the new location, more often than not, is faced by an identity crisis due to the new location. It might be that the spouse was working, and now finds her/him self at home instead. In other cases it might be that the spouse was a very active member in the community that the family had lived in prior to the move, and now after the move he/she is no longer part of this community and feels detached and unable to resume pervious roles. Many of the issues facing a female trailing spouse could be different from those facing a male trailing spouse due to their gender. The experiences that are faced by a male trailing spouse could mean different things and have different ramifications than those by a female trailing spouse (www.thetrailingspouse.com). Due to gender stereotypes, the male trailing spouse faces many challenges due to him being the one who forfeited his career so his partner can pursue hers/his. A study by the Permits foundation in 2008, cited in the Economist found that 86% of expatriate spouses had university degrees and 90% of spouses were forced to relinquish their jobs due to their partner’s new job location. This creates a lack of fulfillment in the spouse as he/she no longer feels that he/she can accomplish or fulfill something in their new life or setting. 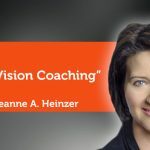 Coaching in and of it self is focused on ways to move the client forward; to get the client to greater achievement, improve the client’s current lifestyle in whatever way the client sees fit. In this regard, coaching is designed to focus on the future, goal setting, and not dwell on the past or on past experiences. Coaching has been proven to be effective in many settings, but in this particular setting, coaching can be the ideal solution to a difficult issue. 65% of the failed international assignments are attributed to the spouse’s dissatisfaction with the new location (www.expatinfodesk.com). Therefore, it is safe to conclude that a happy, well adjusted and satisfied spouse, will lead to a successful expatriate experience to all those involved in this situation.